Phil's running us through the advantages of the higher resolution displays, including text, viewing angles, etc. The iPhone sported a 4-inch display for the past two generations, starting with the iPhone 5 in late 2012. 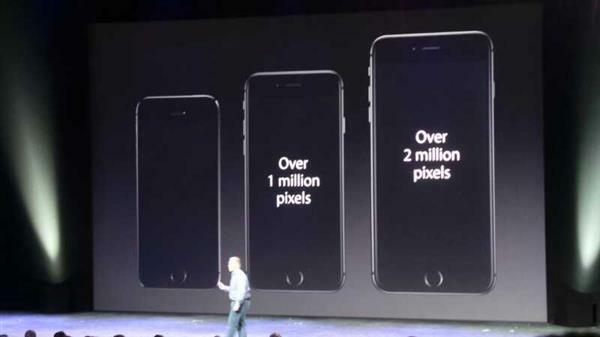 The move to that size marked a big difference from the 3.5-inch screen used since the first iPhone launched. As was revealed yesterday, the Plus can be used like the iPad in landscape mode, with a "two up" style display. 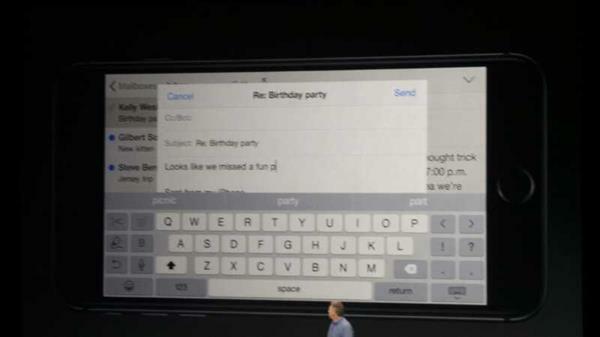 For example, mail shows a list of messages on the left, the text of the message on the right. Apple shares gave up some ground since the event started, now at $99.30, still up about 1 percent so far Tuesday. Phil is saying that the subtle curve in the edge of the display is ideal for the new bezel gestures, where you start off to the side of the glass and bring it in. Worried about your thumb not reaching? The double-touch on the TouchID button may help by sliding content down. We'll see how comfortable that is in the real world. "We all love our apps" -- some more than others. Schiller: It all just works. Apps will scale appropriately across devices. Phil says there's a "Desktop-class scaler" in there. 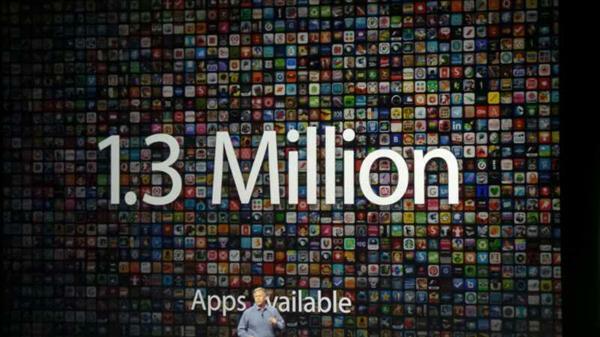 We're guessing app devs will want to update their assets, though. Schiller: If a developer wants to take advatnage of special apps, can create even more increidble apps with more density of content. Schiller: CNN is creating new horizontal view etc. 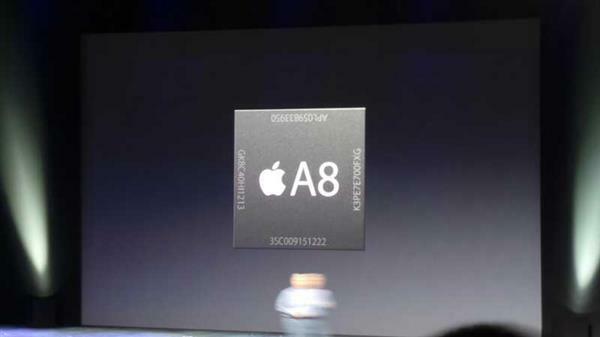 Schiller: 2nd gen 64 bit chip. 2 billion transistors, up from 1B in the A7. Built on 28 nanometer process, or billionths of a meter. 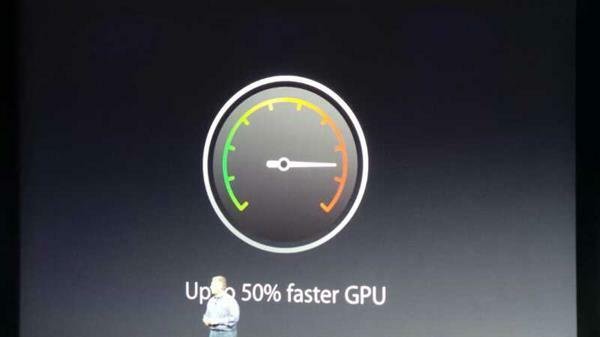 Phil's running through the benchmark-free specs as usual, 25% faster CPU, 50% faster graphics.